Free and open source desktops are great, but they aren’t exactly popular. Many people don’t know they exist, and among those that do, many still also use commercial operating systems. Even among my fellow Linux writers here at MakeUseOf, only a couple of us exclusively use Linux at home. I do, and I have done so for years. Linux has become the standard I compare other operating systems against. Right now, I see little reason to switch to something else. Aside from a three-year flirtation with Chromebooks, I’ve been running Linux exclusively for the better part of a decade. Here are a few reasons why. I’m not saying this out of spite, or to be snarky. I just want to make it clear up front that if you want to do all of your computing from Linux, you can. Linux is no longer just a place for programmers with deep technical knowledge of how machines work. I may know how to type a few commands into the terminal, but I rarely have to. The Linux operating system I currently use is about as hard to figure out as a Chromebook It's Time to Try Something New: Elementary OS Loki It's Time to Try Something New: Elementary OS Loki Elementary OS isn't your typical Linux distribution. Some would say it isn't a distro at all. But is Elementary really a usable alternative to Windows and macOS as its developers claim? Read More . Free software works. Day in and day out, I get online, check email, write, import photos from my camera, listen to podcasts, and play music without much problem. Sure, I encounter the occasional bug, but that has always happened regardless of which operating system I used. Linux does what I need, and I see little reason to switch to something else. In our times, using computers has become a prerequisite at school and work. My parents bought me my first computer when I was in middle school. It was an old laptop with a dead battery and a dial-up modem. I didn’t have expensive programs such as Microsoft Office or Adobe Photoshop. My computer ran Windows, but if it weren’t for free software like OpenOffice, I wouldn’t have been able to do my school assignments at home. When my Windows installation died in college, I was able to get the computer back up and running for free by installing Linux. While I was hooking up my old Dell to a phone jack, my wife, whom I wouldn’t meet for several years, had an Apple iBook. Her school provided them for free, and they connected wirelessly to broadband at home and at school. This was in addition to the other computers her family already had. Whether you have access to computers, software, and reliable internet is largely a fluke of where you were born and the resources available to you. With so much of school and work reliant on these technologies, that puts many of us at an inherent disadvantage. The cost of computers has gone down over the past decade. With Google and Chromebooks, you don’t need much money at all to be able to get work done. But Google makes free and low-cost products because its real profits come from ads. The company tracks us and monetizes our information. I don’t feel comfortable with a situation where people with means can afford privacy, but more cash-strapped folks can’t. Linux makes computing available in a way that is affordable How You Can Save Money by Using Linux How You Can Save Money by Using Linux I like to save money, and one way I've saved thousands is by using Linux. For the past decade, I've spent nothing on the software I use, and remained productive. Read More . Software is free out of principle, giving people the tools they need to take part in modern society. Unfortunately Linux isn’t widely known or accessible to the average person. That’s part of why I do what I do here at MakeUseOf, to help people utilize tools that — while not necessarily the best — are available to anyone. I don’t care if people view Linux as better than Windows or Mac. I just want them to know it’s a usable option. Commercial software is treated as a product. Someone makes the good, and we buy it. If we don’t like how the product works, we’re welcome to buy something else. Simple. Software isn’t like physical goods. An application may look like a product, but it’s really a bundle of code. It’s writing. It’s text that can say and do anything. Without the ability to see what text is written, we have no idea what an application is actually doing. That means we don’t know what we’re buying. We don’t know what’s getting installed on our computers How Adware Is Still a Threat to Your PC and How You Can Beat It How Adware Is Still a Threat to Your PC and How You Can Beat It Malicious popup adverts on your PC or mobile might not be as devious as newer online threats, but they remain a problem. Think adware is a thing of the past? Think again. Read More . We don’t know what’s really being tracked Uber Stops Tracking You After Your Ride Ends Uber Stops Tracking You After Your Ride Ends Uber is set to stop tracking riders after they have reached their destinations. This is the latest in a long line of changes Uber is making in order to improve its terrible reputation. Read More . Developers who create free and open source software give us the courtesy of showing exactly what goes into an application. We know what we’re getting. Not only that, we can do with the software whatever we want. That, to me, feels like true ownership 5 Reasons Why Software Should Be Free and Open Source 5 Reasons Why Software Should Be Free and Open Source Free software doesn't just mean you get to use the app or game without paying. It's about longevity, privacy, ownership, and much more! Read More . Commercial software comes with all sorts of restrictions. You may not be allowed to share a copy with a friend or install a program on both your laptop and your desktop. You can’t look under the hood the way you can with a car — you have to trust that nothing fishy is going on. As a teenager familiar with email, social networks, and PCs in general, I used to view people who said these things as old and paranoid. Then I found out that they were right. Entertainment media and the press do a decent job of making us concerned about hackers, but they aren’t as diligent about documenting the ways companies collect and manipulate our data for profit. If someone were physically intercepting all of our paper mail, making photocopies, and selling binders on each of us to whomever was interested, the law would be quick to intervene. When done online, we’re still having debates over whether this activity is that big a deal Google Shares Your Data, But Is It All Bad News? Google Shares Your Data, But Is It All Bad News? Does Google really want to give worldwide authorities wider access to your personal details? Or has their demand for better data sharing for counter-terrorism been misreported? Is Google actually fighting for your privacy? Read More . Windows 10 has made many people aware of just how much information Microsoft is collecting Don't Let Windows 10 Spy on You: Manage Your Privacy! Don't Let Windows 10 Spy on You: Manage Your Privacy! Windows 10 is watching you. Microsoft's latest operating system is undoubtedly harvesting more of your personal information than ever before. We'll show you how to get a better grip on your privacy. Read More . The company has demonstrated how you just don’t know what’s going on behind the scenes in a proprietary operating system. But as outraged as some of us may be, we have no ability to make them stop. In the eyes of the law, they’re perfectly within their right to collect what they want, especially when users “consent” via a license agreement that no one reads. In a marketplace, you vote with your dollars. I can’t tell Apple or Microsoft not to collect data on me and expose that information to others, but I can decide not to use their products. Going with a free and open source operating system lets me compute with more confidence that what I think isn’t being tracked actually isn’t being tracked, because there are many people out there checking the source code to make sure nothing suspicious is afoot Is Security Through Obscurity Safer Than Open Source Software? Is Security Through Obscurity Safer Than Open Source Software? Open source software comes with clear security benefits. The opposite approach is security through obscurity. Is one approach actually safer than the other or is it possible that there's truth to both? Read More . One of Linux’s most enduring criticisms is a lack of certain applications. Does it have software? 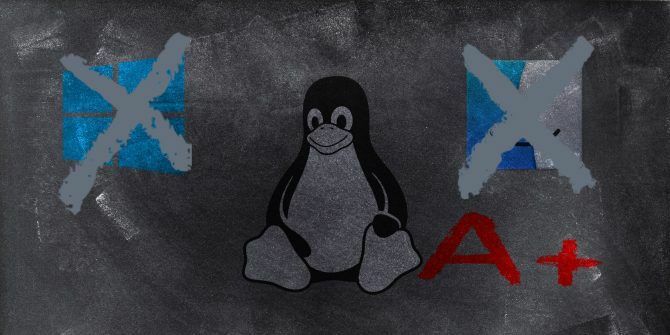 Sure, Linux has plenty of great programs The Best Linux Software and Apps The Best Linux Software and Apps Whether you're new to Linux or you're a seasoned user, here are the best Linux software and apps you should be using today. Read More , and that number is steadily growing. But it doesn’t have much of the commercial programs that developers make exclusively available for Windows or Mac. Someone dependent on those apps will miss them when switching to another operating system. For years, I have turned to LibreOffice whenever I need to type up a paper. It has consistently done whatever I need it to do. The last version of Microsoft Office I used was 2010, and it didn’t do anything that made free software alternatives less appealing. Has the situation changed since? I don’t know. You could say I’m missing out on something better by keeping myself willfully ignorant, but is something better if I cannot trust it? Among technology writers, it’s common to want to try out all platforms so that we feel better able to speak with authority about which platforms are best at what. Ultimately, a lot of what we write still comes down to personal preference. I’m not here to make objective comparisons between platforms — I’m here to help you make use of Linux. Being someone who makes a living entirely using free software helps me provide you with an idea of what Linux can do Your Complete Guide to Living a 100% Free and Open Source Life Your Complete Guide to Living a 100% Free and Open Source Life Windows and macOS are commercial, proprietary, closed source operating systems. Linux, and its many applications, are free and open source. Want to use only free and open source software? Here's how. Read More . I’m happy doing so, and I have little to gain trying out commercial software that I know isn’t available on the operating system that does what I need in a manner I can trust. 6. I Can Put Linux on All the Things! To be clear, I don’t mean Linux can run on any computer. Trying to replace Windows on brand-new machines can be an exercise in frustration. Even if you succeed, many components won’t have drivers. The kind of bugs you encounter can drive you up the wall. A bad experience is far less likely to happen on a slightly older machine, and it’s guaranteed not to happen on a computer that comes with Linux pre-installed. I know this, so those are the only kinds of computers I buy. If a computer is too old or slow to run the Linux desktop I want, I can switch to a different environment and still use a current version of Linux. I’m not left getting online with outdated, unsupported software like I would be using a computer running an ancient version of Windows or Mac. Linux is flexible. Not only does it run on desktops and PCs, but it’s powering most of today’s smartphones. To be fair, Android hardly feels like Linux, but there are more open options you can install on certain phones 10 Things to Consider When Switching to a Linux Smartphone OS 10 Things to Consider When Switching to a Linux Smartphone OS Linux for mobile devices offers a completely different experience to Android and iOS. Here's why Linux mobile is a great option, as well as drawbacks to switching from your favorite mobile OS. Read More . That’s just scratching the surface. Linux can run on many exciting form factors. Just look at some of the cool things people are doing with Raspberry Pi’s 4 Best Raspberry Pi Smart TV Projects We’ve Seen So Far 4 Best Raspberry Pi Smart TV Projects We’ve Seen So Far Smart TVs are everywhere now. We round up the best Smart TV projects that you can make with nothing more than a Raspberry Pi. Read More and other tiny CPUs. With Linux, there’s no End User License Agreement 10 Ridiculous EULA Clauses That You May Have Already Agreed To 10 Ridiculous EULA Clauses That You May Have Already Agreed To Let’s be honest, no one reads EULA's (End User Licensing Agreement) - we all just scroll down to the bottom and click "I Accept". EULAs are full of confusing legalese to make them incomprehensible to... Read More . I don’t promise some company that I will only use an installer to install one copy of Linux on one machine. There are no background services running to enforce this policy. There’s no legal threat of being considered a pirate. I can install Linux on as many devices as I want. If I tell you to use Windows, I’m giving Microsoft free marketing. The same is true with Apple and Mac or Google and Chrome OS. I may be helping people do more on their computers, but I’m also helping these companies increase their stranglehold on the market. That leaves me feeling uncomfortable. I may write about tech, but I don’t do it to be a salesperson. No one company owns Linux. Sure, using a certain version may benefit Canonical, but only indirectly. I could nudge you toward Red Hat Enterprise Linux, but you can get the same experience for free by installing CentOS. If Canonical or Red Hat were to disappear overnight, Linux would go on. Commercial operating system makers have built ecosystems around their core products. Linux is an ecosystem. It makes computing available in a way that no one organization or entity can control. Linux isn’t entirely immune from the corrupting influence of corporate pressures, but it is far more insulated from them. This reduces the likelihood of manipulative practices such as vendor lock-in What Is Software Vendor Lock-In? (And How to Avoid It) What Is Software Vendor Lock-In? (And How to Avoid It) Software vendor lock-in is considered by some to be a big infringement on your rights as a consumer. But what is it? Why is it so bad? And how can you avoid it? Read More . That makes me feel much more comfortable using Linux and recommending it to others. Dual-booting isn’t hard to do. Installing Linux alongside Windows has been easy for well over a decade, assuming you have compatible hardware. If you can click checkboxes in an installer, you can dual-boot. To me, the hassle comes from having to maintain two separate operating systems. Typically I’m going to develop a preference and spend all my time in one. Then, which I switch back to the other, everything is horrible out of date. The OS needs updates. The apps need updates. Updates for days. If you find that you want to change how much space goes to each OS, that can be risky to adjust after the fact. 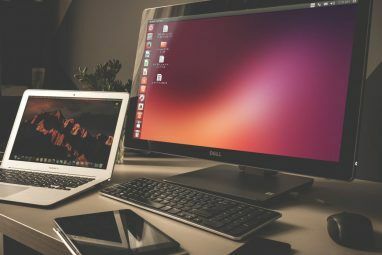 Removing one OS isn’t entirely straightforward either How to Safely Uninstall Ubuntu From a Windows Dual-Boot PC How to Safely Uninstall Ubuntu From a Windows Dual-Boot PC Installing Ubuntu on Windows PC as a dual-boot didn't go so well? Here's what you need to know about uninstalling Ubuntu. Read More . Is dual-booting the ideal solution for some people? Absolutely. Some of my MakeUseOf colleagues are happy to have Windows and Linux installed on the same machine Tired Of Windows 8? How To Dual Boot Windows & Ubuntu Tired Of Windows 8? How To Dual Boot Windows & Ubuntu If you discover that Windows 8 isn't quite your cup of tea, and you have no feasible path to downgrade, it may be a good idea to dual boot with Linux to have an alternative... Read More (or keep a copy on a USB stick How to Install Multiple Bootable Operating Systems on One USB Stick How to Install Multiple Bootable Operating Systems on One USB Stick Do you want to run multiple operating systems from a single bootable USB stick? Perhaps boot into or install the operating system? You can with these tools. Read More ). I’m just not a fan. Should You Only Use Linux? I’m not out to convince anyone that Linux is the best operating system out there. I think that’s a fruitless argument and one that, frankly, doesn’t matter to me. I use Linux because I’m free to do with the software what I want, use it however I need, share it with whomever I can, and compute reasonably confidently that the software I’m using isn’t doing something shady in the background (web browsers notwithstanding). This is the way I feel computing should be 5 Reasons Why Software Should Be Free and Open Source 5 Reasons Why Software Should Be Free and Open Source Free software doesn't just mean you get to use the app or game without paying. It's about longevity, privacy, ownership, and much more! Read More . I can’t make all software transparent and openly accessible regardless of means, but I can personally embrace the software that is. That said, Linux isn’t the only option. 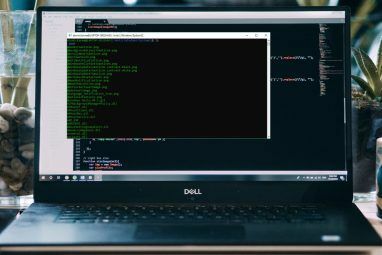 There are other free and open source operating systems 10 Free Operating Systems You Maybe Never Realized Existed 10 Free Operating Systems You Maybe Never Realized Existed Chances are, your computer came with Windows or macOS. These operating systems may seem free -- but they're not. However, there are many free but relatively unknown operating systems. Let's take a look. Read More that most of these reasons still apply to. Linux is simply the most supported, mainstream one. Why do you use the operating system that you do? Have you paid a great deal for software? Do you mind? Have you ever had to do without software that you were expected to have? Fantastic article. I agree with every point. I was once a MCSE and my life was Windows. I switched a few years ago and never looked back. I have no need to use Windows at all. One thing that I found is that Linux really has made computing fun again. I actually enjoy getting on my PC and Linux is the reason why. I was once a Windows 'power user' and I think I reached a point where it was played out. I believe a good many Linux users were once Windows power users, as well. I bet you fell into that category. Linux provides a platform for our kind, we just did not know it until we found it. 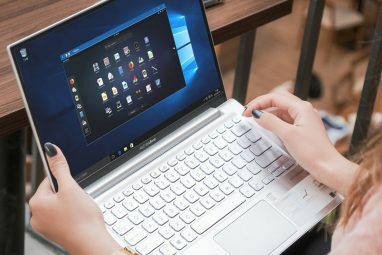 While Linux is perfectly suited for any type of Windows user because of its flexibility, it is especially suited for those who once pushed Windows to its limit. Linux does not seem to have that 'limit. FOSS has evolved in every way. Open source software is out there that matches proprietary offerings in every way. Much of it is even available to Windows. My journey toward an open source life actually started with software. I started using applications like Gimp and Inkscape when I still used Windows. My Windows system consisted largely of open source software so the only missing part back then was Linux. Windows users should at least check Linux out. Most distributions can run from disc or USB drive without having to install. It is awesome and also a lot of fun, if given a chance. Seriously, go check it out and see what you might be missing. Assalam book-fellow!I want some help from you. My problem is that,when I start to execute a windows based program namely (maktaba-shamela)(you can search through net about details)with wine then it gives me an error.why it happens? Good article. I appreciate that you didn't necessarily bash Windows. Most of my customers use Windows, so I do tech support for Windows. I have learned that it's superfluous to go around bashing Windows. I have used Linux on the desktop for 7 1/2 years as my daily driver. I started out with Ubuntu, then Linux Mint, now am using Fedora and love it! I switced to Fedora because of Red Hat servers that I maintain. I use QuickBooks, so I have used VirtualBox for these 7 1/2 years for any Windows requirements. I would estimate that I use Windows in a VM about 5-10% of the time. I decided at the beginning to dedicate my computer to Linux, no dual-boot. VirtualBox is very useful for any experimentation, also. KVM is good, that's what we run VM's with on the Red Hat servers. Not as an anti-Windows policy, but I decided at one point to never use WINE to "try" and run Windows programs. They go into the VBox VM's. Linux is a must for computer repair, a bootable USB stick with Linux has streamlined the repair at hand many times. Thanks! I do try not to bash Windows or the people who use it. Like you, I don't see much point to that. I'm happy to hear you're loving Fedora. I'm not using it right now, but I love that distro, and it's the default I go back to if I ever get frustrated when trying out something else. I also avoid Wine. From my limited experience, it was more trouble than it was worth. I rather use software on the system it was designed for. sounds like the way to go! Love to win one! As for Mac, they are the Shinra Corp of software, but designing all of their own hardware and software together, and only having one or two products to deal with instead of dozens like Samsung, makes for a vibrant secondary and support industry. And their security is top notch, and their features are fantastic! Retina looks great, their touch gesture receptivity is bar none, and they just have everyone beat in design by a thousand miles, and good, consistent UX across platforms goes so far in a good experience. If they were to support repair shops and developers at all, open up some, it'd be a grand system. But they don't. They force repair shops to dig through garbage for parts, and throw computers and phones away and replace them for $750 instead of actually just replacing the one sensor or something that shorted - and they don't let their products get sent to e-waste, they have it all destroyed to prevent re-use or harvesting. They kicked Dash crypto wallets out because they're working on NFC crypto payments and that might may have made a shadow of competition. They kicked out all VPNs because China figured out how to spot VPN traffic without decrypting it and asked Apple to remove all VPNs they didn't have a backdoor for; didn't even mention an 'or else', just said hey do this and they did. And, since I own Apple stock (ma picked it up during the days of the Woz and we held ever since), I've seen shareholder meetings - there are no numbers or dates or meaningful information on the presentations given to shareholders. They are literally a hermetically sealed (glossy white) black box, their software, their hardware, and their business. Employees frequently describe working conditions not unlike that new Emma Watson movie The Circle. Everything they sell existed years before in a more powerful form, from tablets, to touchscreen media players, to uPnP routers, but they can dumb it down so a person with an IQ of 40 can use it and never learn anything else, pretty it up, and spend five times more on advertising how it makes you better than other people. Their business model thrives on using avarice and envy and vanity to lure people in, and fear of complexity and laziness to keep them locked in to the platform, and fleece them with a continuously built up learned helplessness and fear of change always tinged with that fear of loss of vanity. They are literally one of the top 5 most evil companies. So, I use Windows, since it offers the balance between ease of use and freedom that has served me best. Plus, I just don't have the hacker's spirit, and I don't lead a life that lets me spend years without end trying to learn things. I need it to work, out of the box, now, because my life is not one where I am afforded the luxury of taking weeks or months to figure out how to make things work, possibly breaking them multiple times, staying broken for possibly extended periods of time, especially the one thing that runs the most mission critical components of my life. As for software, I have spent some on it, but I have been extraordinarily lucky in scoring free versions of expensive software legally. I designed and produced parts for Daimler heavy industry trucks for a few years, and when I showed them one of the torsion tests they spent thousands on for a shifter component did no good because while it was impossible to eliminate rotation of the rubber base knuckle in the lab, the design of both the console and the transmission made it impossible for the driver to rotate the shaft, one of the reps gave me a free license for AutoCAD 2016. Not that the software has done me much good, I only know how to design parts and dies on paper by hand and by feeling the steel. I've also always managed to be part of some organization or business that gets me free copies of MS Office - right now the school district I work for offers OEM licenses to every employee because it got too hard to only offer it to office staff - something about the Microsoft contract with the city or county or something, so I have a free account. I've tried LibreOffice and OpenOffice, and to me MSO 365 blows them out of the water, especially Publisher, in terms of connectivity and group editing and revision of projects. I've also tried many solutions to G-Suite, but I have been reprimanded because the things I tried to use didn't cooperate with their software. I pay for my antivirus (don't kid yourself - if Linux were 95% of the userspace, it'd have 0-Day Tuesday as well, and since 2014 has had more exploits and vulnerabilities alongside OSX/iOS than Windows [though of them Windows had no low severity vulnerabilities]), and Teamviewer. I don't mind paying for software because one, FOSS doesn't guarantee much, as is evidenced by many of the hacks involving projects that have become modern backbones, since it's just handfuls of people doing this for fun or passion or duty, so paid software means people making a livelihood making things work, a company to hold accountable for misuse of data, a paid help service, and a place I can get a refund. And proprietary for-profit coders are a lot more receptive to well-written feature requests. Maybe not TechNet devs at Microsoft, but even then a well-placed email and a good conversation can do things. The producer-consumer relationship is a two-way street, as it is in all industries. As for licensing and people not reading them, I've read them line for line, and it doesn't really matter what they say because they can't be negotiated, boilerplate, MIT, GPL, CC, or otherwise. The liability, severability, arbitration, and non-indemnification clauses are staples of all contract language, whether for a car, credit card, job, tickets, just about everything. And it's not like I can own lines of code performing functions the way I can own a pair of shoes - it is insubstantial until it is accessed, and, barring some wizened sage that somehow manages to make it all click in my head a la some coding karate kid narrative, and I can go rewriting stuff, I'm as locked to FOSS as I am to proprietary. Yes, I run into the possibility of having a license revoked, but it's never once happened, even when I didn't pay, even when I've once violated the ToS. And then there's wireless Broadcom drivers. I'm not even going to expound on it. Not doing that again. While I do think that the decision that ISPs can round up personal data and sell them to companies is a hammerblow to decency and respect, I have personally never had much problem in letting non-protected information be aggregated in return for convenience and interoperability. I'm a sharer and an open book. Many people are. It shouldn't be that those who are not should be forced into a paradigm of open windows everywhere just because silicon valley devs preach the evils of privacy while buying all the houses around them for it in exchange for convenience and functionality, but a certain amount of data is needed for the networked experience. Now, I'll never run Cortana or Siri, but federally protected information is still federally protected, and that's really all I'm concerned about. It's not impossible to do things in a completely privacy-covering manner, but it is more difficult, especially once wife and house and mortgage and things make it all more complicated, and after 15 years, practicality has won out. I know this has been incredibly long-winded and rambling, but this is the serendipitous culmination of several conversations I've had over the last month, and I had quite a few cents on the matter. I congratulate each and every one of you that can make it work for you. I'm a passionate defender of FOSS, even if I buy black box software and I'll probably never contribute anything to Github beyond a comment about a bug. I'm no Linux detractor, and I know that for many people Linux does everything they want and need. But I'm not a dev, and I don't want to be. You are not a baseline from which closed-source users are lost and wandering, confused and manipulated by evil giants, and my inability and disinterest do not make me your lesser. You do not have a monopoly on logic and your conclusions are not some inherent foundation of reality all people must inevitably come to. I like to refer people that chastise me for not using Linux and not even trying to switch over any more to this article: http://linux.oneandoneis2.org/LNW.htm and look at problems 3, 4, and 7. And it really says something about the community that to this day this is still the least condescending article I can find about the differences between Linux and Windows and that Linux may not be for everyone. I'm sorry if my post came off as condescending. I do strive not to be dismissive or judge anyone for using whatever OS they prefer. If Windows is working for you, and the Windows business model works for you, then by all means, you do you. You've also made more than a few valid points (and I, too, could start ranting about Broadcom drivers if nudged in that direction). As I said in the closing paragraphs, it really doesn't matter to me what OS you use, and this is not an effort to win any "converts." I wrote this post based on my own experience and out of a desire to let other people who could benefit from installing Linux know that it's very possible to do so. You don't need to be a hacker -- I don't know any programming languages, and I only know a few terminal commands. Neither have been all that necessary. You don't even need to be technical enough to download an ISO now that you can buy laptops online that come with Linux pre-installed. I am curious -- when was the most recently you used Linux? I don't want to imagine using it in 2001. I first installed Linux in 2009, and I did experience some of the frustrations you mentioned back then. But these days? Not at all. I will say that while some aspects of the link you shared are outdated, it is still a great read. I vaguely recall coming across it before at some point over the years, and I also encourage people to check it out. Thank you for your patience with my unloading, and I apologize for it sounding more like an angry retort - it is somewhat, but not at you, just at various more anonymous and less socially developed members of the community over the years. I admire your approach to the issue, and do agree with you that it is much more possible to start with and exclusively use Linux today than 10-15 years ago. To answer your question, I started trying to use Linux in 1999 and my last attempt was in 2010. That was about when my laptop became mission-critical and 90 hour workweeks completely destroyed my curiosity. Unfortunately to this day, I seem to have a knack for choosing hardware that gives any kernel a run for its money, and having to learn the arguments at install for working APIC, acpi, forcing VESA, and writing GrUB from scratch and X11 scripts to make things work, and having to learn to compile the kernel myself were the bulk of where things went wrong. I also forgot, I tried CentOS, PCLinuxOS, Linspire, Mageia, and Mepis. I went through a LOT of distros in 2006-2007. I'm thinking of giving OpenSUSE or post-Unity Ubuntu one more try next, maybe going down to Freegeek and getting some older hardware. Some day. I tried Linux and fell in love with it. I did not switch out of hatred for Windows or Microsoft. In reality, I ended being hospitalized for close to a year and I had in my possession a laptop with no operating system. Linux offered the only available solution because it was free and I was broke. Now, I could not imagine using any other. I use Linux because I find it's the best fit for me but that does not mean everyone should feel the same way. My mother still uses Windows because it's what she knows and it works for her. I am cool with that and if she needs my help when things go wrong, I am happy to help. She tried a Mac and did not like it at all so my guess is she would feel the same about Linux since there are many similarities. I let sleeping dogs lie. I ran into the dependency hell situation but I liked the challenge. I will say much of that has been mitigated and no longer is as prevalent today. Desktop Linux has undergone a rather remarkable evolution but that isn't to say its perfect. Fragmentation is still an issue. I was surprised you talked of 'dependency hell' after saying you tried Arch Linux. Arch/Arch-based distributions are among those that dependency issues are mostly moot. The Arch Repositories and AUR see to that. If an open source software exists AUR has it packaged. That fact has got me into trouble (as a newbie) but not because of dependencies. I try to be conscious of how I present things and I strive to never condescend. I also feel my love of Linux is based solely on my experience using it. I was a Windows user for years and it bothers me not that there are true fans of Windows. It is, after all, the most widely used desktop OS on the planet. I think some of the attitude expressed by some Linux users is a result of how Steve Ballmer and Microsoft treated Linux and the Linux community. Windows users did not have any thing to do with it and I am afraid they get dragged into it only because they are using Windows. I agree a lot with what this article says about Linux and open source in general. In fact, since I've been very frustrated with Windows 10 lately and spending a lot of time over the past few months reading this website, I've convinced myself to run entirely open source operating systems at home now. My work PC is still on Windows which is unavoidable. I have just one machine at home yet running Windows, but that may soon change once I decide on an distro I want to run to replace my "do anything, everyday use" main desktop. My server/NAS runs Open Media Vault, a spin of Debian, my laptop runs Peppermint, and my wife's laptop runs Mint. I'm still torn between going with Manjaro, OpenSUSE, Korora, or Mint as a daily driver, and I know there are pros and cons to each of them. I'm sort of leaning towards Mint again since I'm already familiar with Debian-based distros and the apt package manager. I've dabbled in the world of Linux over the past 6 or 7 years, then took a break from it for a while. Now I'm getting serious about it again and I'm going to make the switch entirely. I feel like Linux as a desktop OS has come a very long way from a usability standpoint in recent years. You install the OS from USB and everything "just works" right out of the box, no mess, no fuss. I can't say the same about when I moved from Windows 7 to Windows 10. After a reinstall after a failed upgrade, and spending the better part of a full day getting things configured the way I want, drivers updated, Windows updates installed, etc, it was bad. You're right -- Linux has come a long way in the past seven years. Picking a distro is a very personal decision, and I hope you end up with one you love! Because I can is the most important statement. Many are fine with Chromebooks or Linux. My job requires a few programs that only run on Windows. I also require the actual Microsoft Office for guaranteed collaboration with my peers and customers. Would you switch were it not for the reasons you provided, or are you happy with Windows? I am a 30-year *NIX person. I have used Windows on the desktop until 6 months ago when I switched to macOS. I am happy with both, but find the access to OSS tools and commands easier to access on macOS than Windows although WSL might fix that. I see no reason to switch to Linux on the desktop today. Free, ability to install anywhere (w/o relicensing, restrictions), privacy-respecting, rich assortment of modern apps that cover the full-range of my needs, distros built specifically for low-end machines (devices last longer), Open Source (the trust that goes along with that), system/app updates you can see/control and a community that understands the importance of these things (even if we bicker amongst ourselves). Whatever deficiencies Linux may have (and all systems have them) are minuscule compared to the deficiencies on other systems - as it relates to my needs. The differences are night and day. Ditto. There is only one application that I sort of miss from Windows and that is an income tax calculator like TurboTax or Tax Act. However, I did find a Linux script that does most of the hard work. All I have to do is fill out the forms. My first computer was an Apple II+. Even back the I abhorred the idea of enriching Fruitco so I typed in programs I found in Apple community magazines. Even at work which was a straight Microsoft shop, I installed Firefox, Open Office and other open source apps. So when I gave Windows for good, rather than just for Lent, I was not emotionally attached to any Windows software. With Linux I OWN the software, not just rent it. And, as far as I know, no Linux developer is talking about the "subscription" model. "4. It’s All About Trust"
When it comes to trusting closed source software there's no need to look any further than this MUO News article "CCleaner Was Distributing Malware for a Month ". Even CCleaner developers did not realize that it was compromised. "7. Linux Isn’t a Product"
It's a community in which all users can take and/or contribute. Very few users can contribute, even fewer do contribute, to closed source. It's an exercise in masochism. At one point I multi-booted - Win 98 & XP and 5 or 6 Linux distros. It was an interesting balancing act while it lasted. I tried to get a BSD into the mix but BSDs do not play nice with other OSs. A friend gave me some a bunch of racks with swappable HD trays so I switched to putting each O/S on its own drive. Proved to be much less of a hassle. "Should You Only Use Linux?" The vast majority of computer users use APPLICATIONS, not the O/S. They have no need for O/S specific programs. Open Source software has proven that. Presented with a screen from Open Office, Firefox, GIMP, etc an average user would not know nor care whether the O/S behind the scene was Linux, MacOS, BSD or Windows. Only when told up front what the O/S is do they manage to find any shortcomings with the app. Very good article. I enjoyed reading it and I've been through all of this more than once. I've been a Linux advocate since the mid 90's. When my job was more towards sysadmin, I always had fun installing Linux on my home computers. But after moving on in my career, Linux became a burden. It's just too time consuming to keep the version current and to get things to work seamlessly (i.e., drivers). These days I have commercial responsibility for industrial software. its complex code and expensive. The furthest thing from open source. A lot of people make a living developing high reliable software that businesses depend on. By the way, why do you have all those adverts that surround your article? Couldn't you just give it away? How to make a profit in media is a long and ongoing discussion. I'm uncomfortable with the nature of internet ads, since many of them track us. I prefer traditional ads like those that appear in a magazine. I'd like to see much of the web shift over to a subscription or donation-supported model, but that requires a shift in the way people value the content they get online. As for MakeUseOf, I have no say in the financial aspect of the site, but I am happy to write for a group that doesn't restrict my freedom to express my values openly and honestly. I'm unfamiliar with your line of work, but it does sound like you interact with the kind of software I recall hearing could go open source without sysadmins or developers losing their existing way of making a living. Companies often have specialized needs and will always need someone to develop and maintain that code (companies that need special software to do their jobs, but their line of revenue doesn't come from selling or leasing that software). As someone in this line of work, can you share your thoughts on why this may not be the case? Tell me about it. When I look at the stories surrounding Windows 10, I'm glad I haven't had to deal with all that. I also feel concern for those that do. That's what they are - stories. Of course, in tablet mode, with GPS on and the MS equivalent of the Google apps on Android constantly harvesting information, there's that digital fingerprint, but like Google, what they collect can be controlled on one's MS account, and on PC, it is literally five clicks to turn off Cortana, user experience information, tablet and voice input, location tracking, and advanced telemetry. Is it as private as Linux? No. But most of the stories are wild exaggerations from the Preview build, which took in loads of telemetry and usage information. It also had a built-in chat function that allowed users to near-instantly send reports to devs. The famed and dreaded keylogger was removed with the first stable commercial release. Thanks for the response. It's good to know that the situation may not be as bad as it sounds. I would add that Google only lets us control *some* of what it collects about us. It's enough to make us feel like we have control over the information, but there's actually more that we have no say over. A person can't go to Google and say, "Let me see all the information associated with me and my account." So if Microsoft meets the Google standard of privacy, I would still not regard that as privacy. Along those lines, I don't take much comfort from finding out a system is still not private, even if it's not as bad as it was made out to be. Dual booting right now, primarily because I have a handful of clients (I do personal computer tutoring and maintenance for a select few) who refuse to try Linux, so I need to keep up with Windows crap. But I am seriously considering at least formatting my Windows partition on my desktop and just keeping the laptop as dual boot. I hear you. When I first started freelance writing, I had to keep a copy of Windows around because a client required contributers to use Windows Live Writer. I use a dual boot, but I need Windows because I only use MediaMonkey, and I cannot get Linux to work correctly with my printer. Also, I prefer Word to Libre for complex documents. I have an Epson all in one with a wireless scanner which does not work with XSane in Linux. That and a few other Windows features are about the only reasons I still dual-boot Windows 10 with Ubuntu 16.04. I have tried linux but their are certain websites that I use that only work on internet explorer. Als o when it comes to free office software I have found that wherever I go and have to use another PC outside my home it always has microsoft office on it. And most jobs I see advertised want ICT skills based on using Microsoft and Windows software. Only use Explorer? In what year do you live?? But that's not about open source or Linux, but about open standards. And I think even Microsoft is adhering to open standards.And a lot of jobs also ask for UNIX/Linux skills. Certain shopping sites I have used don't complete the credit/debit card processing when making payment through Firefox, Chrome when I have tried Linux this has also happened when using Windows. And where I live the majority of jobs advertised require you to use Windows software. It's not me that lives in the dark ages but employers and those who have developed websites that still use old browsers/technology because that is where the problems lie. I've never encountered sites like those. As long as I temporarily suspend my ad blocking and script blocking extensions, Chrome works for nearly all if not every web site where I do business. All work in Linux. Maybe that's just me, but I don't think so.